Ok, I lied! I confirmed in my previous post that I would present my next contribution on Friday. But, I could not rest until I finished with my original idea (sharing information regarding two dessert wines from Italy). As you may recall, the length of my previous post dictated that I not include my second Italian dessert wine recommendation. So, I shamelessly insisted that Anna process this next contribution early. I just wanted to put this to bed in order that I move on to other, hopefully, interesting and informative posts. So, we are back to Piedmont and a dessert wine named, Brachetto d’Acqui. 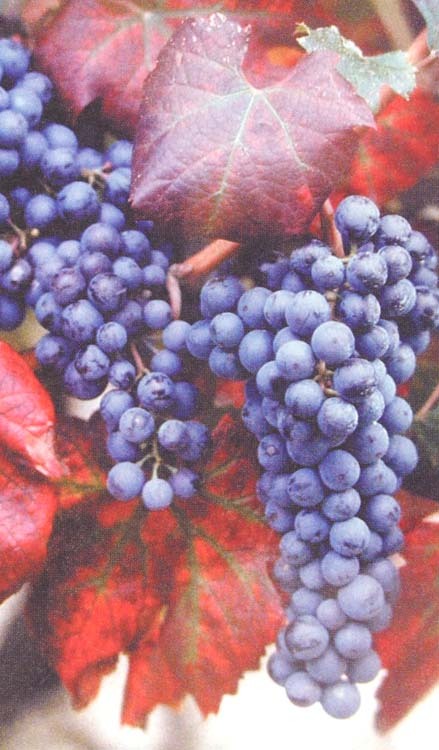 Brachetto is a dark-skinned Italian grape variety that is actively propagated in Piedmont and is responsible for slightly sweet and frothy wines. 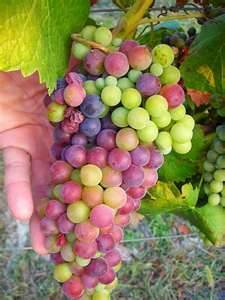 In the past, Brachetto has been made as a dry table wine but, this practice has largely been abandoned. This grape variety ideally lends itself more productively and effectively to a soft, semi-sweet, frizzante or spumante style wine, light in body, with low in alcohol content and a pronounced aromatic complexity. Normally the wine consumed in its youth, slightly chilled and can be enjoyed after dinner of as an aperitif. 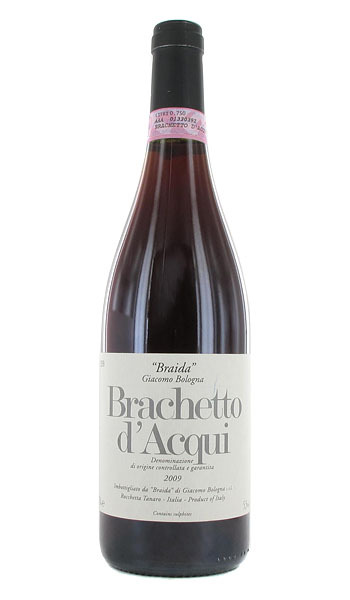 Those of you that have an affinity for Lambrusco will absolutely love Brachetto! Brachetto is often associated with love and romance. The wine is actively marketed during Valentines Day and routinely is exploited for lover’s celebrations. A particularly intriguing story suggests that Brachetto was presented to Cleopatra by Marc Anthony and Julius Caesar in attempts to win her favor. According to the fable, this delectable and delicious wine unleashed Cleopatra’s insatiable desire and contributed to her infamous and unbridled passion. Be thee appraised and sufficiently warned! One particular Brachetto that enjoys a considerable following and great reputation comes from a very well-respected producer “Brada” Giacomo Bologna. “Brada” is a nickname for Giuseppe Bologna the founder of the winery. Giuseppe acquired this nickname while playing “pallapugno” (a traditional Italian ball game). Giacomo (second generation) inherited his father’s Barbara vineyard and his coveted nickname. 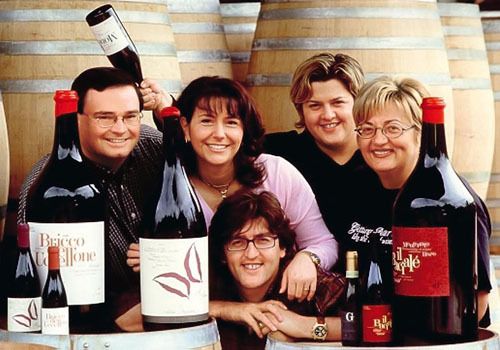 Giacomo’s love for the land and his father’s wine has been transmitted to his wife and children (the successors of the estate and current managing group of the winery). Anna, Giacomo’s wife along with his children Raffaella and Beppe (and their husbands, wives and children – this is a real family affair) have courageously supported the family tradition of innovation and quality. Today, the Giacomo Bologna wines exceed expectation and remain richly rewarding based on the synergies and enthusiasm of the entire Bologna family. It is my opinion that this Brachetto is one of the best offerings available out of Italy today. It is elegant, fragrant and delicious. Special care is employed during the short 36 to 48 hour temperature controlled maceration. This preliminary step is followed by a second careful and gentle fermentation in sealed stainless steel tanks to capture the enchanting flavor profile and the delightful effervescent quality. This is a special “meticulously crafted” wine that is sure to please. DESCRIPTION ~ Pale ruby color with an illuminating purple hue on the rim, a lively appealing effervescence, expressive, complex and aromatic aroma and bouquet, reminiscent of rose petals, orange blossoms and wild strawberries. TASTE ~ Delicate, sweet, frothy, expressive cherry, black raspberries and strawberry fruit with a hint of orange citrus and candied fruit. ACCOMPANIMENTS ~ The winery suggests that this Brachetto goes well with fresh strawberries, dried fruits, hazelnuts, almonds, pistachios and figs – dry pastries, jam tarts and oven baked desserts and is exceedingly harmonious with chocolate! Enjoy this wine following meals or any time of the day as an effervescent and delicious aperitif. The average retail range is $18 to $22 per bottle – 750 ml size. Often times following a delicious and satisfying dinner, my thoughts shift to a dessert style beverage to end the meal. Because I am Italian and enjoy food far too much for my own good, quite often I over indulge! Therefore, I look forward to something sweet to aid in my digestion and finish out the evening. There is a vast array of dessert style wines that I have consumed over the years. I admit that I have a number of favorites including: Port (Vintage, LBV and Tawny), Sauternes, Late Harvest Wines, Tokay, Muscat, Icewines from Canada and Australian “Stickies”, to name a few. These selections and others will most definitely be subjects of future posts. But at this time, I would like to share with all of you one of my favorite Italian dessert wines. Because of its delicate sweet nature, the forward fruit style and the refreshing effervescence, I very much enjoy (Anna loves this wine also) an occasional Moscato d’Asti from Piedmont. 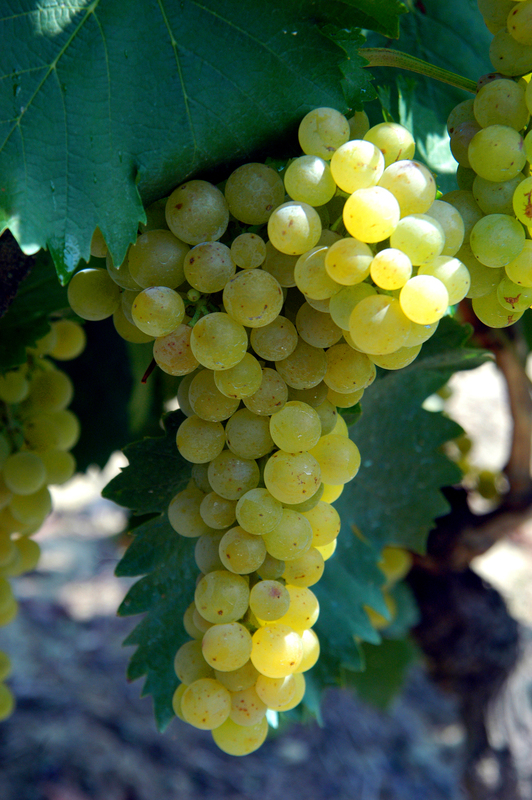 Moscato d’Asti is produced exclusively in Piedmont, Italy (“Piemonte” in Italian). This is the second largest wine production area in the country. 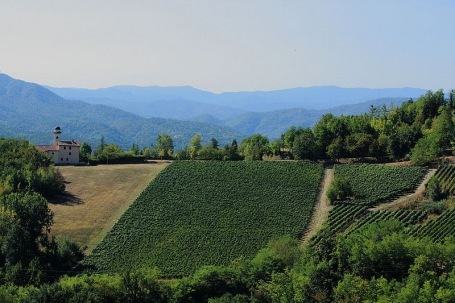 The name Piemonte comes from the Latin, Pedemontium or Pedemontis, meaning “foot of the mountains” and the region is surrounded on 3 sides by the Alps. Switzerland and France border Piedmont to the north and west. As you might expect, this is a very hilly and mountainous region. The lowlands are a fertile agricultural region and the main products are: fruit, cereal, maize and rice (more than 10% of the national rice production is grown in this area). Major commerce includes, Fiat, Ferroro chocolate, Biella silks and the area is known for cheeses – Grana Padano, Toma and Gorgonzola are some of the more, well-known types. 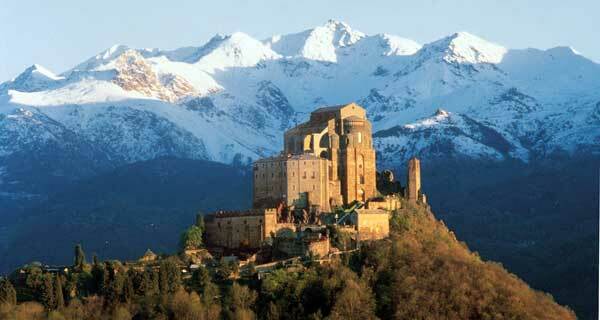 Also, Piedmont is particularly famous for white truffles and porcini mushrooms. 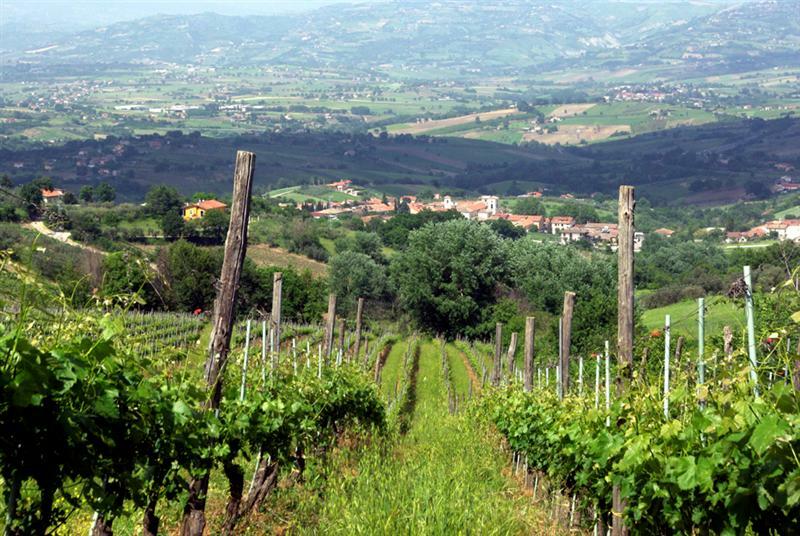 However and more than any thing else, this prestigious region of Italy is renowned for wine. Michele Chiarlo’s rigorous pursuit of quality (since the winery’s inception) has earned this producer a highly respected reputation in Piedmont. Founded in 1956, the winery is located in Calamandrana, Piedmont and remains to this day is family owned and operated. The winery is one of the most technically advance facilities in Italy and the family promotes innovative practices including; soft pressing, controlled temperature fermentation, rotating maceration sprayers, malolactic fermentation, temperature and humidity controlled cellars (I welcome questions about these principles and how ultimately the wines benefit from these practices). Michele Chiarlo produces only the finest quality wines from the region and their Moscato remains one of my favorite dessert selections. Actually and because of the delicate, effervescent nature this Moscato, the wine can be enjoyed as an aperitif or for your afternoon sipping pleasure. I recommend with complete confidence the. 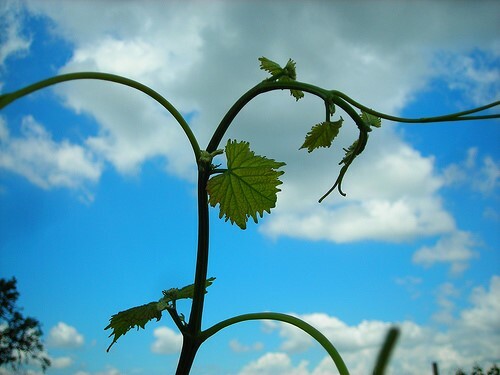 . .
“Nivole” means clouds in a Piemontese dialect, which is appropriately named for the sublime, delicate nature and finesse of this especially gentile and enchanting wine. 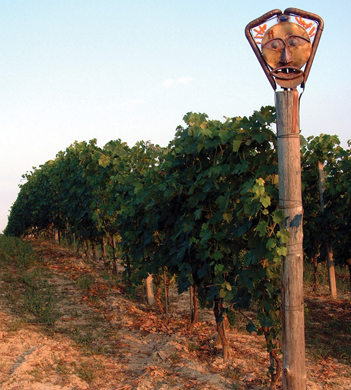 The grapes are grown in the hills of Canelli, which offers an ideal microclimate for Moscato. The must is slowly “cool” fermented using natural yeasts to preserve the fragrance and varietal character. A small amount of unfermented Moscato juice is added to fine tune the sweet fruit intensity and the wine is bottled immediately producing also a lightly sparkling nature. 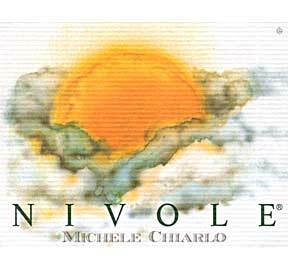 Nivole is also DOCG (Denominazione Di Origine Controllata E Garantita) which is an official registered designation regarding authenticity and quality. DESCRIPTION: Light bodied, soft, delicate, fresh and crisp, luscious, refined sweetness, fragrant, lightly sparkling with vivid aromas and flavors. TASTE: Myriad of flavors including: pineapple, peach, grapefruit, apricot, ripe melon, mango, tropical fruits and honeysuckle blossoms. ACCOMPANIMENTS: Moscato is an excellent companion to light fresh pastries, fresh fruit – strawberries, apricots, pears and peaches. The average retail price range is $15 to $18 per bottle, 375 ml size. 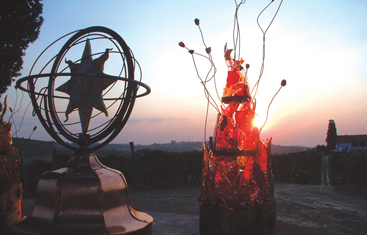 As if the picturesque Barbara vineyards in the hills of Asti needed any added beauty; Michelle Chiarlo has installed the first “art walk” on his property. Orme Su La Court or “Footsteps in a Court” is an art park which depicts the four elements of earth, air, fire, water that meander down the rows of vines. This is a special place where the fruit of nature commingle with the art to inspire the senses. 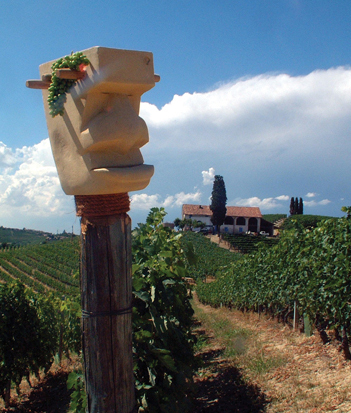 Along the path are “Segnapalo” or “pole heads” which are mounted on poles at the end of the vines in a Piemontese tradition to ward off any negative influences on the vines. The property includes an area for meditation with a 360 degree view of the surrounding hills and vineyards. 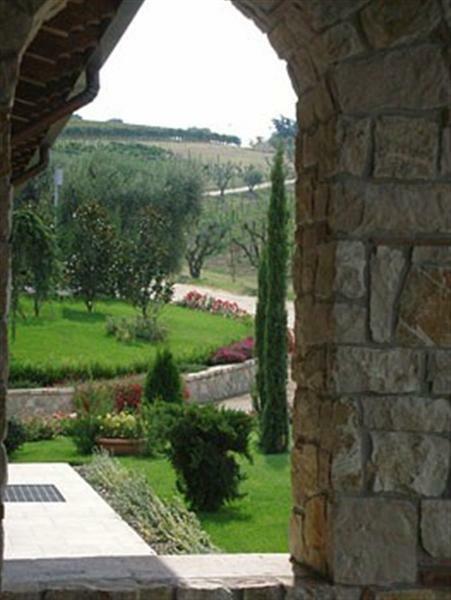 When visiting Chiarlo, one can stroll through the vineyards, enjoy the peace, serenity of the picturesque setting and admire the collection of art that has been assembled. * In the text of this post, I had planned to include one other Italian delicacy. 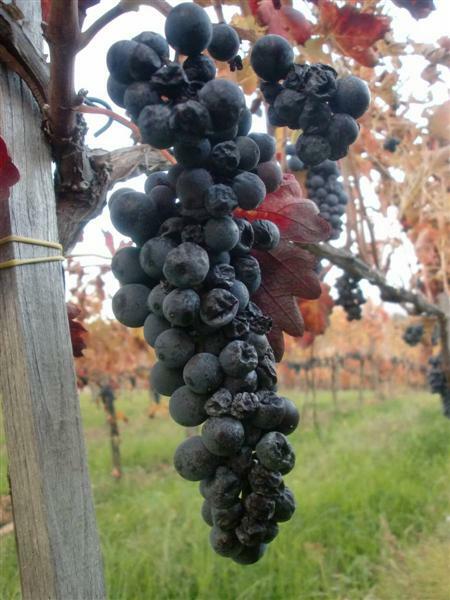 However and because of the length of this contribution, I will present BRACHETTO D’AQUIT in next weeks Hub’s Hints. I look forward to sharing this wine with everyone. Ciao! Often times I am asked; “what is your favorite wine”? This question is incomprehensible and absolutely impossible for me to answer definitively. There are so many fantastic wines from all over the globe that I would not be able to limit my preference and or focus to one particular wine. Fortunately for me, I have been exposed to a great many wines during my tenure in the wine business but, to pick one wine over the rest of the world’s production would be quite unconscionable. Actually, I can’t even limit my choices to one grape variety or one production region of the world. I enjoy the wide spectrum of wines; red and white, sweet and dry, imported and domestic, sparkling and or fortified. I do however have a considerable number of personal favorites. I am pleased and excited to share a few of these “Favs” with an inquisitive and interested wine consuming “Glamorous Camping” populous. 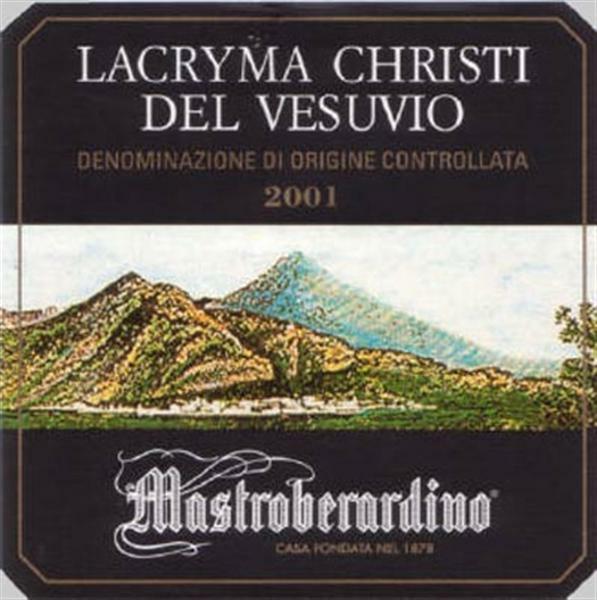 Many years ago, I had the extreme pleasure of visiting Mastroberardino, in Campania, Italy. The facility is located in the town of Avellino in the ancient region of Irpinia. Avellino is west of Naples, inland and north of Capri and Sorrento. 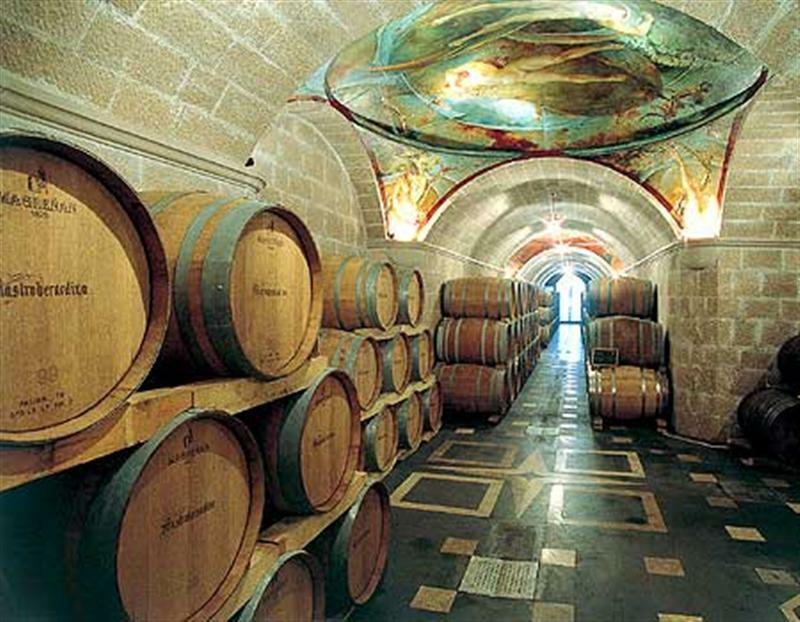 The house of Mastroberardino is one of the oldest and most well-respected wineries in Italy, producing red and white wines that rank among the finest quality in the world. Although Mastroberardino was officially founded in 1878, the family traces its winemaking heritage back to the late 1600’s. 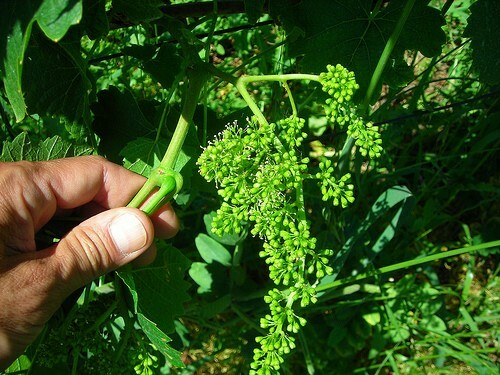 The Mastroberardino family being “wine archeologists” is credited with locating, identifying and nurturing ancient vines that would have otherwise become extinct. 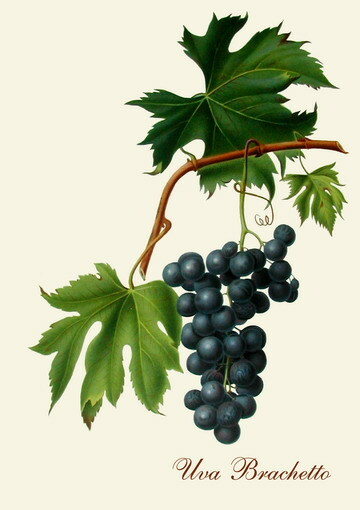 Mastroberardinos have been directly responsible for reviving and preserving historic grape varieties (Greco and Aglianico) that were brought to Campania by the Greeks over 2,000 years ago, as well as, for propagating the Fiano grape variety that was grown by the ancient Romans and was indigenous to Southern Italy. 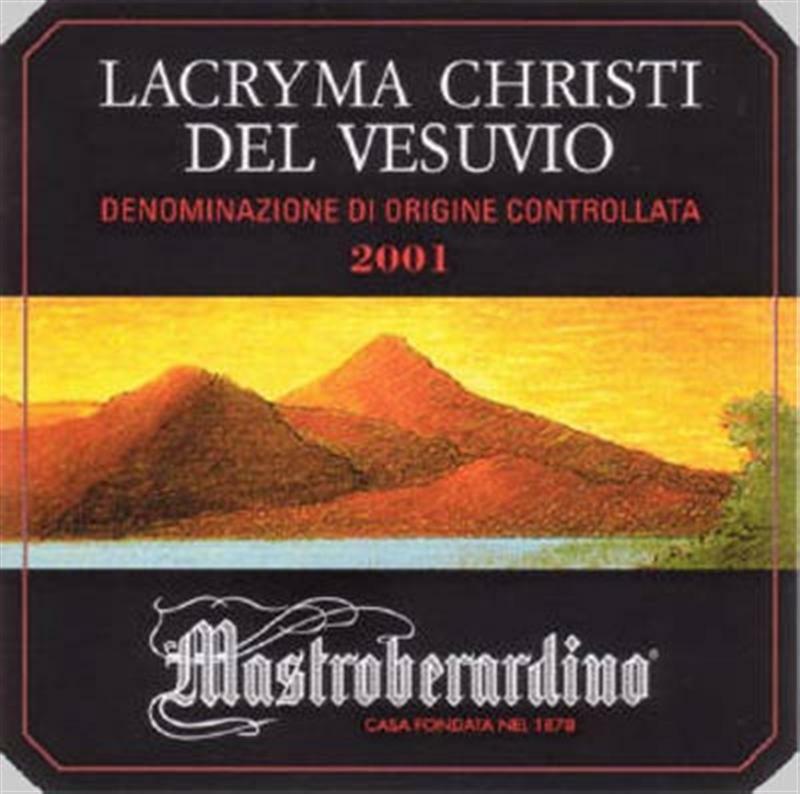 Past generations of Mastroberadinos were committed to the fundamentals of nature and to exposing the unique characteristics of the ancient vines. This philosophy was maintained through four generations which remains unchanged to present day. The red wines from Mastroberadino have a reputation for being the most balanced and longest lasting Italian reds, comparable to the prestigious Brunellos and Barolos of Italy. The whites are full-bodied, rich and elegant with finesse and balance and a vibrant flavor profile. 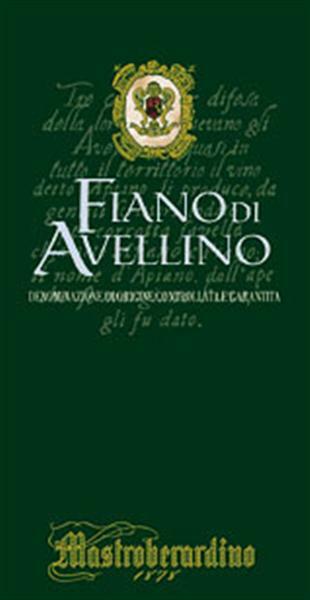 Made entirely from the noble and rare Fiano grape variety, this wine has the distinction of being one of a very few dry white wines that can bottle age for 5 to 10 years (up to 15 years in great vintages), considered one of Italy’s great white wines. DESCRIPTION: Straw gold color, with an aromatic, complex bouquet and distinctive flavor. Full-bodied and elegant with pear, pineapple, citrus, nut and honey flavors and a lingering toasted hazelnut complexity. FOOD: Shellfish and seafood, white meats and soups. . .
Is a dry, elegant, robust and hearty red wine made entirely from the ancient Alianico grape variety grown on windswept vineyards at 2,000 feet above sea level. Although Taurasi will age for up to 50 years or more, it is surprisingly agreeable in its youth. 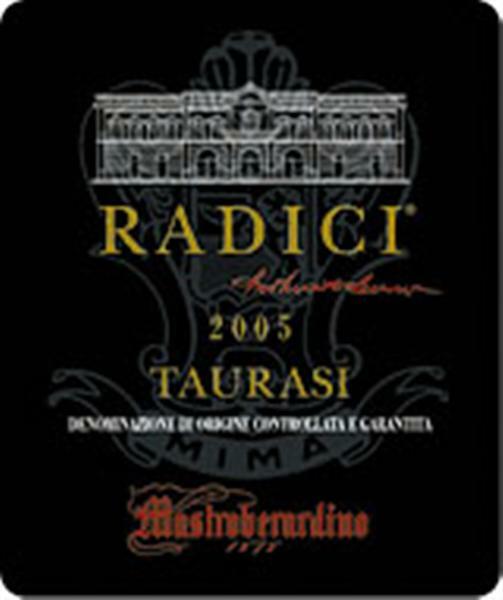 Taurasi Radici (Radici means “roots”) is a world-class wine, considered one of the finest from Southern Italy. FOOD: Grilled and roasted meat (steak, chops & lamb), wild game, distinctive cheeses. . .
$ $ $ – More economical alternatives to the above mentioned wines would be the Lacryma Christi Bianco and Rosso. Folklore and legend suggests that when God cast Lucifer out of Heaven, a corner of Heaven was stolen by the Devil. When God saw what Lucifer had done, he cried bitter tears. God’s tears fell on the spot where Lucifer had fallen to earth, which is the location of the current vineyards for Lacryma Christi (The Tears of Christ). 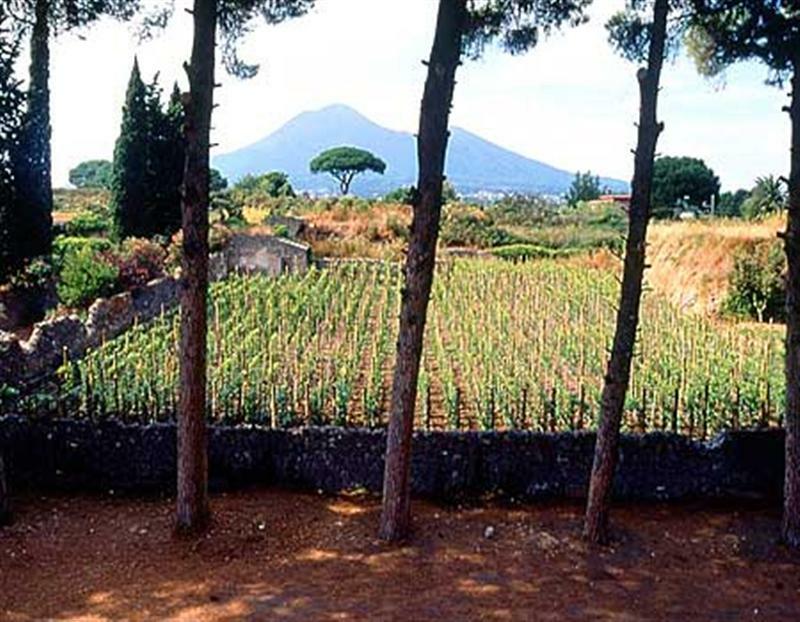 The wines are produced in the shadow of Mount Vesuvius in vineyards containing volcanic soil. 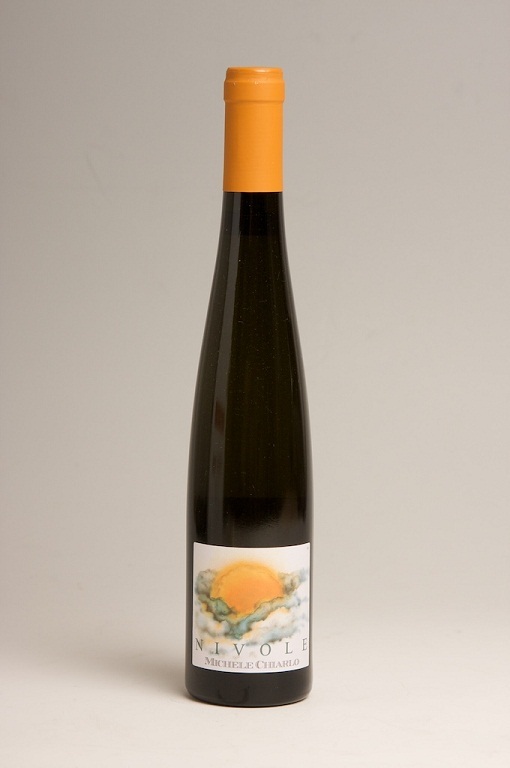 Is made 100% from Coda di Volpe grapes, it is straw-yellow in color, well-structured with a bright minerality and stone fruit flavors – white peach, pineapple and a hint of licorice. Enjoy with antipasto, seafood risottos and grilled fish. . .
Is produced exclusively from Piedirosso grapes, the wine is intense, ruby-red, with layers of cherries, plums, raspberries and a hint of black pepper on the finish. Enjoy with red meats, meat based sauces and spicy dishes. . . Consult with your local wine retail store for the availability of recent vintages. The average price for the Lacryma Christi wines is approximately $18 / $19. Thank you for the opportunity to share one of my “Favs”.